Summer Fun QAL – getting ready! Hi friends! 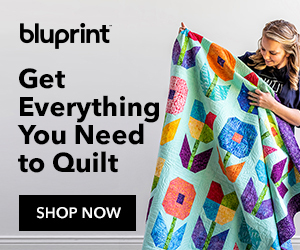 The Summer Fun Quilt Along starts in a little over a week, so it’s time to get ready! The finished quilt measures 30″ x 32″ and it has (mostly) simple piecing along with a little applique (which you can leave out if you’d like). This wall hanging is perfect for a confident beginner as well as an experienced quilter. I’ll walk you through all of the steps and give you plenty of tips along the way. There will be an English paper piecing option using hexagons for the sunflowers for those that might be on summer vacation and want a little hand work to take with them. And, if you don’t like applique, you can replace that strip with a plain piece of fabric or another row of pieced blocks. Let’s talk about the fabric requirements. This is a perfect project to use up scraps. I love a bright color palette, so I’ve pulled a rainbow of colors from my stash to start with. You won’t need more than 1/8 yard for anything other than the background fabric, backing and binding. If you’re using social media, use the hashtag #summerfunqal. I’ll post pictures of my progress on Instagram so make sure to follow me there. If you have any questions, leave a comment and I’ll get back to you. Summertime fun is coming soon! Where can I get weeks 1 and 2? I was in the process of moving and was not able to get to them. Never mind. I found it in the archives. Thank you for making such a beautiful pattern available. Now that I’m settled in, I’m looking forward to making it. I just returned from vacation and weeks 1 and 2 are ready. Just printed out the instructions and so excited to get started! Thank you so much Julie! I have never learned how to use Instagram, so this seems to be the time to learn, I will find someone to teach me. This is probably because I am technically challenged. I was born in the last century. Just added a little humor here!. I love this! Thought it was a great opportunity to use up some scraps…..then I saw too many bright new fabrics at the Granary. Great! I cannot wait to start! Oh I cannot wait for June 1st…..What a cute project and just know it will look so cool hanging on my front porch!! What a fun and cute mini for the summer!! I am going to try to sew along with you!! So cute. This will be fun! This is adorable Julie thank you! Looking forward to making this row by row please sign me up. Hello Julie, You have designed a fabulous quilt for this QAL! I will definitely be participating!! I will have to go and start picking out fabrics later on today. Thank you for sharing and designing such a fun and lovely project! Have a great day! I sent this out to my quilt guild 50 members. Hoping some of them will be joining me. I will work on it as as I am able. Chemo on the 15th so that will put me a week or so behind, but I love this and want to sew along!! Thanks so much for hosting. I plan to join in, looks like a fun project that I can complete. Thanks for offering this. This looks like a fun project. Hope I can make this quilt.